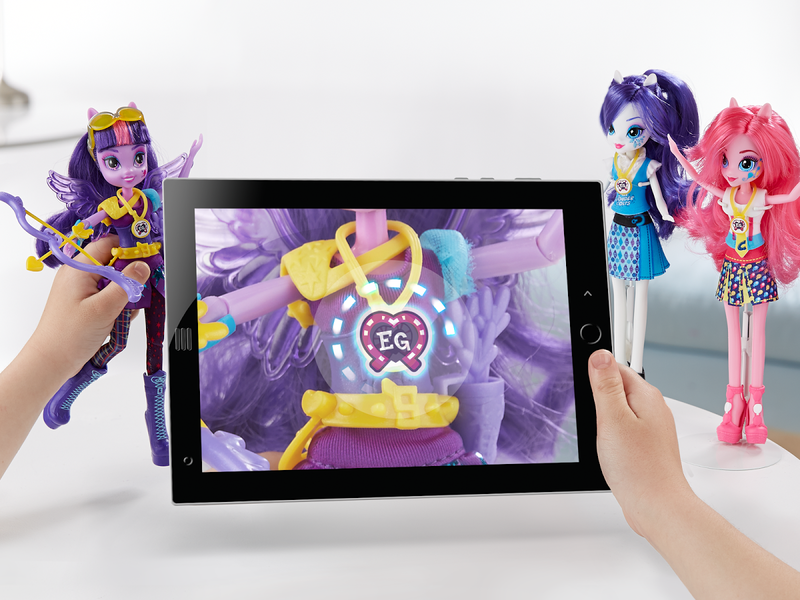 SCAN Equestria Girl dolls, vehicles and playsets with a horseshoe symbol (each sold separately to unlock clothing, accessories, or daily rewards that you can use to customize your avatar. Scanning a My Little Pony Equestria Girls toy (sold separately) will also unlock a digital character that follows your avatar on friendship quests. 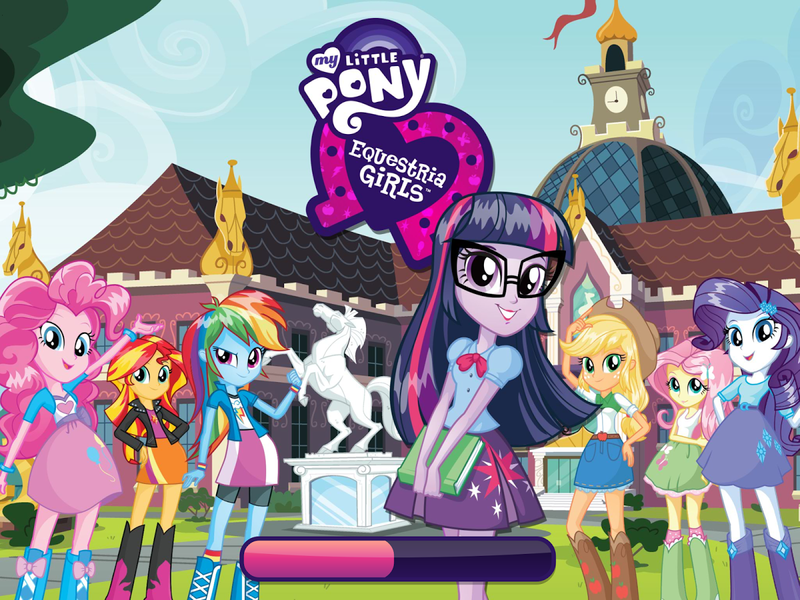 **The My Little Pony Equestria Girls app is free to download and play. Additional in-game content can be unlocked over time by earning rewards through play, by scanning in toys featuring the EG horseshoe symbol, or by purchasing virtual gems from the shop using real money. You may control in-app purchases using the password settings explained in the Apple help center. ** You may also lock or disable in-app purchases by adjusting your device’s settings. – Be patient the first time – it gets easier with every scan! Check www.MLPEG.com for compatibility, availability, and instructions. Make sure your device supports this app before downloading. Other devices may be compatible but are not supported. Updates may affect compatibility. The My Little Pony Equestria Girls app requires an Internet connection (3G, 4G, LTE, or WiFi) for download, updates and in-app purchases. Kids, ask a parent first before downloading or making in-app purchases. Virtual gem purchases cost real money and are charged to your iTunes account. You may control in-app purchases using the password settings explained in the Apple help center. ** You may also lock or disable in-app purchases by adjusting your device’s settings. 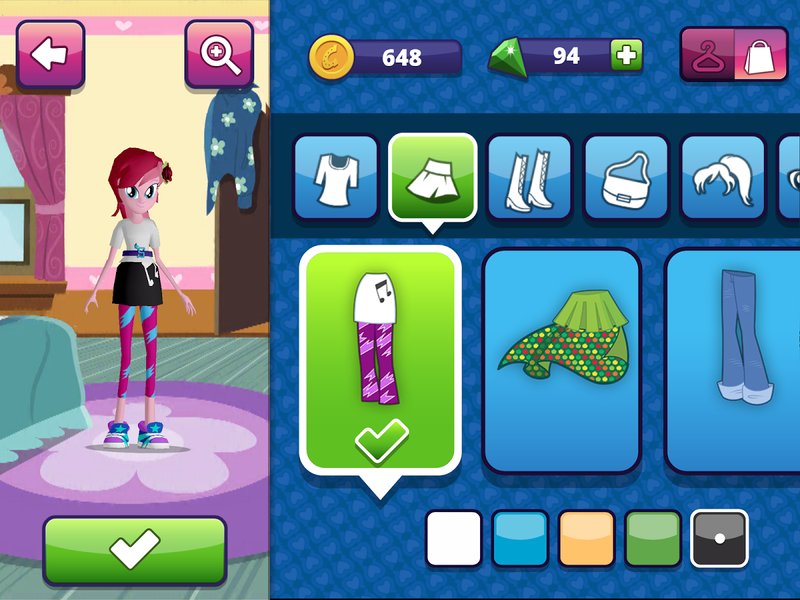 The My Little Pony Equestria Girls app is subject to App Store terms and conditions. For compatibility, look for toys with the Equestria Girls horseshoe symbol necklace on them. Not compatible with earlier My Little Pony or My Little Pony Equestria Girls toys or other current My Little Pony or My Little Pony Equestria Girls toys. Product availability varies by region. Hasbro, My Little Pony, Equestria Girls and all related logos and character names and trademarks are trademarks of Hasbro, Inc. © 2015 Hasbro. All Rights Reserved.